Penny O'Brien... Las Vegas Realtor Online! I proudly salute the men and women of the United States Armed Forces whose personal sacrifices protect our great nation. I am PENNY O'BRIEN, Real Estate Agent with RE/MAX Excellence. I specialize in buying and selling Las Vegas homes, Henderson and Summerlin houses, condominiums, and properties. I am a certified Summerlin specialist in the Las Vegas Valley. I proudly work with buyers and sellers with their Las Vegas Homes and those looking for new homes in Las Vegas in all price points for homes and condominiums. I am determined to give you the quality service you deserve. You can contact me anytime and I will be glad to help you with your listings or any other home that is listed you may wish to view in the Las Vegas Valley. If you are in the market for a NEW house, you’ll likely want to make sure you have a Realtor with you. Do you know that the sales agent who nicely greets you at the sale office door is working for the builder/ seller? That sales agent is NOT representing you. It cost you nothing to be represented by a Realtor, so give Penny a call to have her assist you with all your New home search needs? There are factors that end up making the biggest impact on your visit to a new home sales track. First of all the sales agent is not going to share with you that you can negotiate the sale price and other expenses involved in buying a new home. Call Penny Now to discuss how she can save you thousands of dollars, she has saved her clients so much money purchasing a home from a new home builder, she’ll make your experience fun for your new home house hunting. Buying a new home can be a lot of fun and knowing Penny has all the new home builders information on where they are building along with pricing is a great plus for you. The New Homes Sales agent isn’t going to share with you that you can negotiate the purchase price and contract they have put together. Who are some of the builders hammering away in the Las Vegas area? Here is a list of some of the New Home builders in Las Vegas, Summerlin, Green Valley, North Las Vegas, SW and NW sections of the Las Vegas Valley. Do you have a certain builder in mind? Penny can find all homes that are currently being built in all locations of the Summerlin, Henderson and the entire Las Vegas Valley. What exactly is the Section 184 Loan Guarantee Program? The Section 184 Loan Guarantee Program is a loan product available to Tribes, Tribally Designated Housing Entities (TDHEs), and Tribal members. This loan can be used on or off reservation for purchase, rehab, refinance, or new construction. The Section 184 Indian Home Loan Guarantee program is a tool for Tribes to bring more housing to tribal communities and other areas. Section 184 Loans are used for SFR, single-family housing (1-4 units), with a fixed-rate loan for 30 years or less. Section 184 cannot be used for commercial structures or with any type of Adjustable Rate Mortgages (ARMs). Who qualifies for the HUD 184 loan? Yes, Penny O’Brien knows the HUD184 program very well. She can help you understand how it works. The Section 184 Indian Home Loan Guarantee Program is an amazing home mortgage product specifically designed for American Indian and Alaska Native families, Alaska villages, tribes, or tribally designated housing entities. Congress established this program in 1992 to facilitate homeownership and increase access to capital in Native American Communities. With Section 184 financing buyers can get into a home with a low down payment. One of Penny’s single mom buyers only had to come in with $1700 total to buy a 3 bedroom townhome with a 2 car garage. It was cheaper for her to buy a home than to rent. A couple from Alaska bought a two bedroom townhome with a 2 car garage, they were happy to have the program available for them to use. Section 184 loans can be used, both on and off native lands, for new construction, rehabilitation, purchase of an existing home, or refinance. Section 184 is synonymous with home ownership in Indian Country. Section 184 is adding to the marketability and value of the Native assets and strengthening the financial standing of Native communities. Is Las Vegas eligible for the program? Yes, Las Vegas, Summerlin, Henderson, Green Valley, North Las Vegas, Southwest and Northwest Las Vegas all fit the criteria for this loan. The program has grown to include eligible areas beyond tribal trust land. She works at no cost to you! Provides detailed listing information not always available to the general public. Negotiates the deal to help save you money. Guides you through the avalanche of paperwork. Penny Commits lots of time and energy to finding you the right property. As your Real Estate Agent, Penny will lead you through every single step of the exciting home buying process. Penny will help you define your “wish list” of features you want in your home. She will walk you through the mind-boggling financial details associated with buying a home. She monitors all new listings and will alert you to new listings as soon as they are put on the market. She will help to eliminate the stress involved with buying a home by putting her years of real estate experience to work for you. Finding the right property for you is her business. Contact Penny NOW! “Penny O’Brien has been my real estate agent for the past three months and just closed the deal on my Summerlin home. Penny has been a pleasure to work with, earning my respect and admiration for getting my family through the stressful task of selling a house. The time spent with Penny has given me the opportunity to observe a true professional at work. Her ability to get the job done, and done right has certainly paid off. Our broker centers are located throughout the entire country ensuring you get our assistance in every state. Our professional real estate team made sure you get the highest level of help with your property quests. Penny has been happily serving both buyers and sellers for 20 years in the Summerlin, Las Vegas, Henderson, Green Valley and the SW and NW areas of the Las Vegas Valley. You can count on Penny to be responsive to your Real Estate needs. 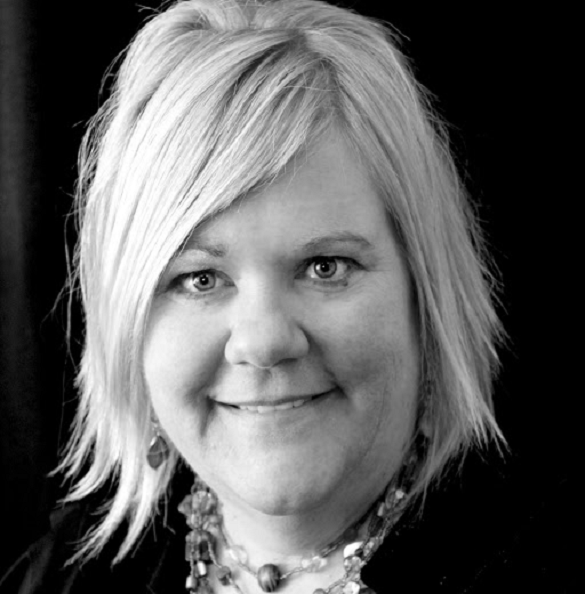 Penny joyfully and professionally works to provide the best home buying/selling experience for her clients. Penny is a very friendly and out going Realtor. Summerlin or Summerland, NV? Las Vegas Homes for sale. © 2007-2018 Penny O'Brien. All Rights Reserved.